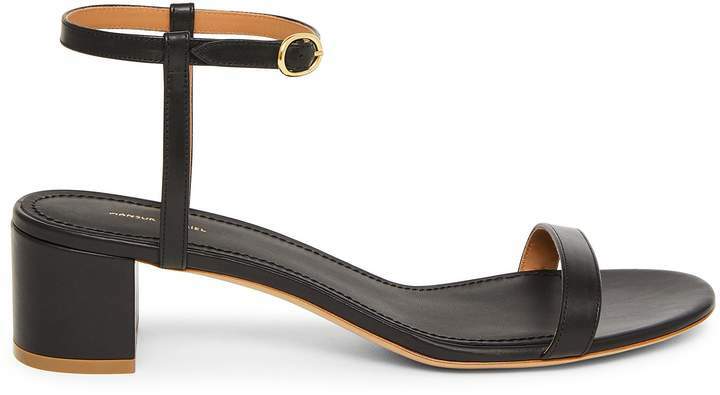 Italian lambskin leather black ankle strap sandal. 40mm heel. Made in Italy.